A large part of interior design is deciding where to create or eliminate contrast. In the loft, the challenge is how to tone down competing architectural features such as the metal staircase, ductwork and multiple doors in varying sizes, while at the same time creating subtle, but intriguing points of contrast. The sofa in the main living space of the loft is one such area of contrast. Since it’s the largest upholstered piece, selecting a fabric for the sofa’s shape and size will set the tone for every other element in the space. It will not only anchor the room, but also serve as piece upon which contrast can be built – in accessories, draperies and more. Alex selected Tarlton sofa by CR Laine will have a sharp, tailored look. 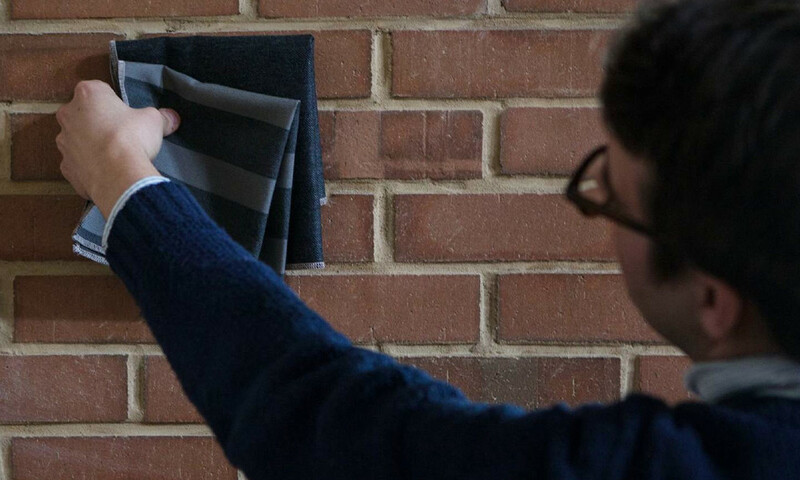 The sofa will be positioned in a niche near the exposed brick wall, allowing the fabric’s grey color to create an elegant contrast with the muted orange brick. The grey fabric also forms the base of the color palette for the entire loft, including the outdoor spaces. Building points of contrast also means making sure a space – whether it’s your living room, bedroom or kitchen – isn’t filled with too many objects. To create contrast, be selective about what furniture and accessories you include, so they truly can become points of intrigue and not clutter. Whether it’s a stack of coffee table books or a unique lamp, every object in the room should contribute subtly to the look you are trying to create. How have you created points of contrast in your home? Share your design experiences with us via Instagram @Sunbrella #perspectiveATL or leave us a comment.